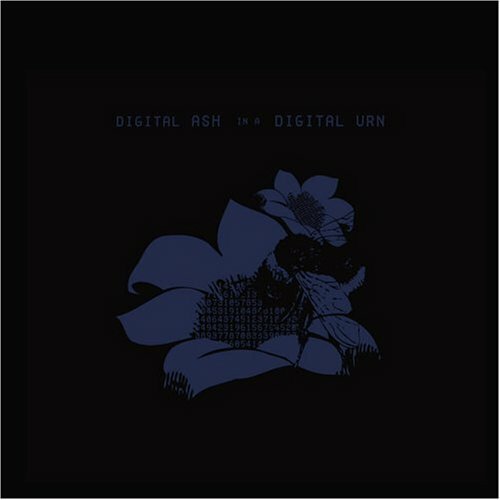 On January 25, 2005, two very different albums by one very singular artist were released: Digital Ash in a Digital Urn and I’m Wide Awake, It’s Morning. The latter is generally considered Bright Eyes‘ best album since 2002’s Lifted… It was a modern folk music masterpiece long before the modern folk music movement flooded the charts with pedal steel guitars, acoustic banjos, and twangy tempos. Digital Ash was a attempt at something completely different (for most Bright Eyes fans): an electronica album. I wear my love of Bright Eyes on my sleeve as many of the fans do. On that release date in 2005, I swiftly purchased both albums on compact disc. While I instantly loved I’m Wide Awake…, I did not like Digital Ash in a Digital Urn. But almost 9 years later, I finally get it. In “Gold Mine Gutted,” one of the stand-out tracks, Conor describes “hooded sweatshirt walks.” The mind wanders to that time where the weather starts to get cool. That construct is quite characteristic of Bright Eyes lyrically but the way Conor arranges that image musically is completely atypical from how he’s achieved this in the past. “Hit the Switch” may be one of the most depressing songs ever. It is about getting super wasted and feeling empty. It is like a typical Bright Eyes song, turned on its head with incorporation of electronic pop instead of acoustic guitars. But the album overall is quite dark. A few of the songs are based in poetic extended metaphors and other songs do not follow normal verse/chorus/verse formulas. These two albums are so different and it is hard to say one is better than the other. I loved I’m Wide Awake instantly, but since 2005, Digital Ash is definitely an album that grows on you as the years past. It is a more mature, but at the same time, he still maintains vulnerability. While I’m Wide Awake is straight-forward and accessible, Digital Ash is cryptic and enigmatic. 9 years later, I can understand what a risk this album was. Bright Eyes explores a genre that is completely unexpected for most people. One should note that 2005 was the same year LCD Soundsystem released their self-titled album. It is not what fans expected but it successfully opens up the pathways into a new musical frontier. Maybe I just was not ready for it at the time. The lesson is sometimes it pays to go back to albums that could not be understood at the time. Go back to it. In the end, you might find something you did not see before. Editor’s Note: This is the first column in the “Reconsidering….” feature where we reexamine older albums that were passed over at the time of their release.